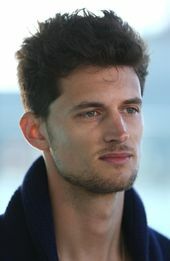 Garrett Neff is an American model, best known for his early work with Calvin Klein as the face of jeans, underwear and the MAN fragrance. He has appeared in V Man, GQ, French Vogue and L’Officiel Hommes and walked numerous runways. He has modeled for campaigns including Tommy Hilfiger, Carolina Herrera, Swarovski and Hugo Boss. He has worked with world’s leading photographers such as Steven Klein, Steven Meisel, Bruce Weber, Mario Testino, Mert and Marcus, Peter Lindbergh and Milan Vukmirovic. In July 2015, he launched his swimwear line, KATAMA, a brand of men’s luxury swim and resort wear. Born on April 12, 1984, Wilmington, Delaware, USA, to Deborah and Wheeler Neff, his parents got divorced when he was ten years old. Neff attended Wilmington Friends School where played tennis and soccer. He graduated in 2007 from Bucknell University, with a degree in Business Management. He was discovered in 2005 by a modeling agent at Miami International Airport. *He was born on April 12, 1984, Wilmington, Delaware, USA. *He was educated at Wilmington Friends School and Bucknell University. *He played club soccer for the Kirkwood Talons, making First Team All State as a senior in High School. *By 2008, he was the face of Calvin Klein’s MAN fragrance.